The proposed Cat Canyon wells would drill through the Santa Maria Groundwater Basin, putting the drinking water of more than 200,000 people at risk at a time when water scarcity is already a serious problem in our county. 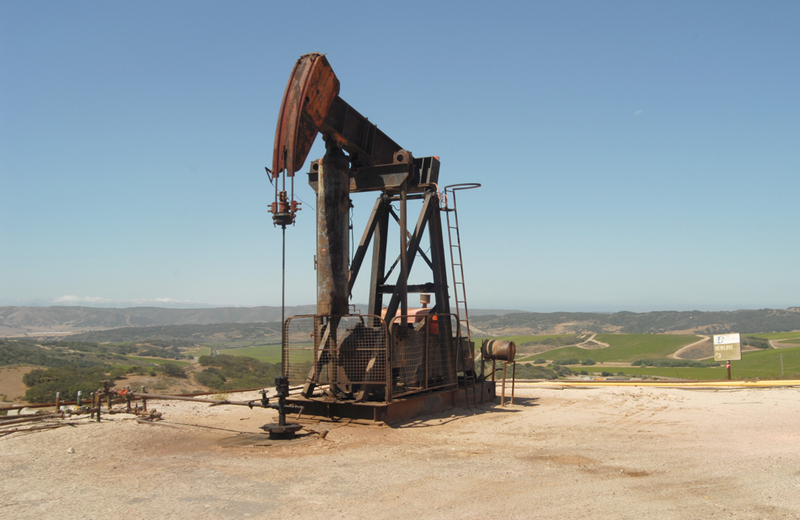 On March 13, the Santa Barbara County Planning Commission is scheduled to vote on whether to approve the first of a trio of new oil projects in Cat Canyon, in the northern part of our county. Specifically, three oil companies — Aera Energy, ERG Resources, and PetroRock — are proposing 750 new oil wells near Santa Maria. If approved, these projects would triple our county’s onshore oil production and move us in the wrong direction on climate change and environmental justice. For these reasons, we, along with 80 researchers at UCSB, have signed a letter that urges county decisionmakers to consider the full costs and impacts of new oil drilling. Expanded fossil-fuel production in our county would increase our carbon emissions, worsening climate change. In fact, this proposed 40-year project is directly at odds with the county’s own goal of decreasing greenhouse-gas emissions 50 percent by 2030. Emissions from the project alone would account for about half of the county’s planned reductions, making it even harder for us to meet our goals. This is not “clean” oil: The carbon intensity of California’s oil fields is some of the highest in the country. To even get the oil out of the ground, more fossil fuels have to be burned. We’ve already seen what warming the planet by just one degree Celsius has done to our community. We have all lived through the consequences of climate change with the Thomas Fire, the Montecito debris flows, and the years-long drought. These experiences are linked to climate change. Research has shown that since the 1980s, climate change has doubled the amount of land burned in the Western United States, putting low-income populations and people of color at particular risk. Extreme precipitation, like the hard rain that fell the morning of January 9, 2018, is more likely under climate change. We can already measure climate change’s significant contribution to our latest drought. If we continue on this trajectory, some scientists project that in the next 80 years, Mediterranean regions like our own will become deserts. Santa Barbara County is highly vulnerable to climate change — we should be part of the solution, not the problem. But the issue goes beyond the local risks we face from climate change. Water is also a key concern with this development. The proposed Cat Canyon wells would drill through the Santa Maria Groundwater Basin, putting the drinking water of more than 200,000 people at risk at a time when water scarcity is already a serious problem in our county. This isn’t just our opinion. The county’s environmental impact report for the project labels the threat to drinking water from a rupture or leak as “Class 1” — significant and unavoidable. Most communities that depend on the groundwater basin for their drinking water are lower income and communities of color, raising significant concerns for environmental justice. Imagine how you might feel if an oil company proposed to drill near Lake Cachuma. Expanding oil production in Santa Barbara County places our health and environment at great risk. This development will use our county’s precious water resources to fuel extreme extraction techniques. It’s not just researchers at UCSB that oppose this plan. Residents have attended meetings to make their voices heard. Many civil society organizations are opposed to these projects, including Safe Energy Now, the Central Coast Alliance United for a Sustainable Economy (CAUSE), Food & Water Watch, Santa Barbara Standing Rock Coalition, Sierra Club Los Padres Chapter, Environmental Defense Center, and 350 Santa Barbara. Public support is likely not on the side of these projects either. Only one in three people living in Santa Barbara County want to expand offshore drilling for fossil fuels. Instead, almost two in three people in our county want local officials to be doing more to address the climate crisis. In this year, the 50th anniversary of the Santa Barbara oil spill, we must ask ourselves: Have we finally learned our lesson? While oil development has been a key feature of our region’s past, we envision a future in which our economy is focused on low-carbon development, increased energy efficiency, and a thriving renewable-energy industry that will support thousands of jobs. We know that climate change is real. We know that it is happening now. We know that we have to stop building new fossil-fuel extraction if we plan to solve this crisis. It’s time to keep fossil fuels in the ground and to build a 21st-century economy that meets everyone’s needs in a sustainable and fair way. If you agree with us, we urge you to reach out to the planning commissioners and your county supervisor before the hearings on March 13. While it’s easy to imagine that climate change is a global problem and that there’s little we can do to stop it, that’s not true. When we act decisively, we can produce positive impacts locally and globally. We have a great opportunity to do that next week. We hope you will join us. Leah C. Stokes is an assistant professor in environmental politics at UCSB; David Pellow is the Dehlsen chair and department chair of environmental studies at UCSB; Emily Williams is a PhD student in geography at UCSB and a member of 350 Santa Barbara.